by John Gilliom and Torin Monahan. Chicago: The University of Chicago Press, 2013. 178pp. Paper $22.50. ISBN: 978-0-226-92444-1. 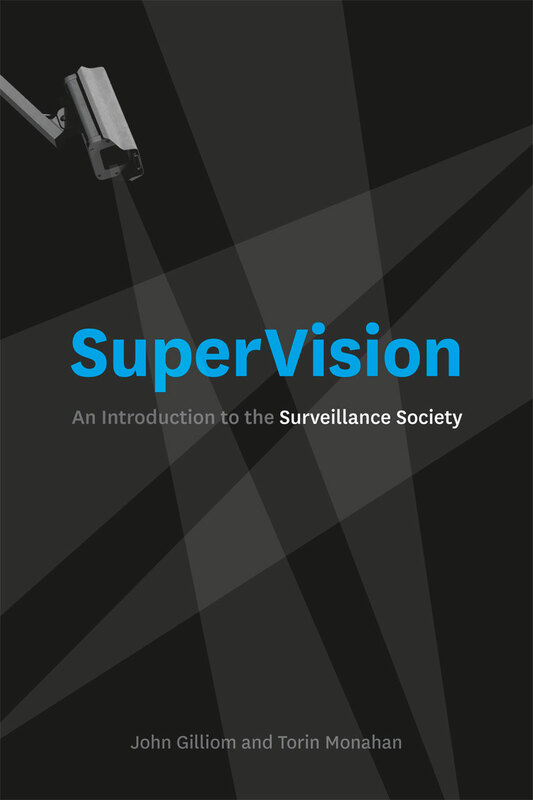 This slim, easily digestible book informs the reader about the current state and future world of surveillance in American society. The authors, Gilliom a political scientist and Monahan a professor of communication studies, speak to a more general audience, seeking to introduce nonspecialists to the world of surveillance. Comprised of six content chapters, the authors focus on forms of surveillance that impact our daily lives; cell phones, credit cards, online social media, school and workplace monitoring. As surveillance is increasingly an element of our lives, the authors argue that the vast and transformative changes that result require a rethinking of our social selves. As we interact with others in society, the book explores the mechanics of surveillance, such as cell phone tracking and data mining, and leaves the larger theoretical and ethical questions for another day. If the reader is hoping for this broader discussion or a legal or political one, they may be disappointed, but only momentarily. The book delivers what is promised – to inform the reader about the depth and breadth of our surveillance society which is almost unavoidable in the modern world. First Gilliom and Monahan introduce the definition of surveillance: “Monitoring people in order to regulate or govern their behavior.”(p.2.) “Information societies are necessarily surveillance societies.” Surveillance is not the antithesis of privacy but rather a more dynamic blend of technology, power, and politics. Gilliom and Monahan lay out ten important ideas regarding surveillance. 1) the current vocabulary regarding surveillance doesn’t reflect the complexity of the issue, 2) not all surveillance derives from sinister goals but some began as fun and creative ways to communicate, 3) most innovation and initiatives began in the private sector rather than by government, 4) surveillance is more than watching. It shapes our behavior and creates a digital identity of ourselves, 5) the public is often a willing participant in a monitoring program by sharing information, 6) space and time are different dimensions in the information age, 7) many in society will undermine surveillance by attempts to evade or circumvent, 8) some surveillance systems contribute to long standing patterns of race, class, and gender, 9) surveillance systems do not always work as intended, and 10) organizations are almost always in favor of more surveillance. One or more of these concepts permeates the content chapters that follow, making the discussion of surveillance dynamic, multi faceted and thought provoking. Each chapter begins by informing the [*526] reader of how accessible and comprehensive surveillance is in our society. Chapter One, titled “My Cell, my Self” begins by declaring that cell phones are the very symbol of our surveillance society. The ubiquitous device, some 5.3 billion of them worldwide, records and transmits a digital story of our daily life. The authors go on to explain how cell phones operate, capturing our personal information, our location, our network of contacts, and so much more. Americans are well aware of the surveillance capability of cell phones, yet they are a status symbol that we as a society “fervently adopted.” Cell phones have changed the way we communicate and their convenience and multifunctional utility overwhelm privacy concerns. “Cell phones can be thought of as polyvalent in that they lend themselves to multiple uses, open us to multiple forms of observation and control, and position us as agents who can monitor others ‒ for instance, when we keep track of our friends or family members”(p.26). The digital trail left behind through card use is nothing short of astounding. Credit cards, debit cards, driver’s licenses, student ID cards, and customer loyalty cards capture and create a composite of human behavior and interaction. The use of plastic however does more that track our activity; it has real consequences such as an impact on credit ratings and insurance rates. Data collected through card use, by credit agencies and data mining companies can have a profound effect. Card usage does more than record our usage and certifies our identity in a transaction protocol. We use a multitude of cards daily and collectively this builds a portfolio of activity that reveals much about the user. The convenience, for example, of swiping a card rather than writing a check or paying cash, or receiving a discount for using a loyalty card has consequences. For example, a grocery store customer who was injured in a fall in the store found that the retailer used his loyalty card to track how frequently he purchased liquor (p.32). Financial transactions are surveyed by data firms which rate your financial health as a credit score. This rating is used aggressively by others in society such as employers, landlords, and banks in deciding whether or not you are worth the financial risk. While cash transactions lower the opportunity for surveillance, their utility is marginalized by the growing world of online commerce. Gilliom and Monahan predict consumers will soon see the disappearance of plastic cards in our society as biometrics becomes more reliable and universal. While the volume of plastic card use combines to create a digital portrait, some argue that the variety of card use provides more security than a universal identification system. Both in the United States with the Real ID Act and in other countries, the public reacted negatively to a de facto national ID card. The cost of implementing such a system may slow down the inevitable convenience of a single ID card for multiple uses. Gilliom and Monahan warn, “The pieces are nearly in place for the mother of all fusion centers to unite our medical, personal, financial, legal and other identities into one seamless searchable system. We don’t think this fusion will spring from some grand declaration or congressional act. We think it will come out of the quieter [*527] cooperative meshing of public- and private-sector initiatives.” (p.46). The chapter focusing on security of surveillance in schools is the most legalistic in tone. It begins with Fourth Amendment search and seizure case law regarding safety, security, and surveillance in schools. Students do not “check their constitutional rights at the school house gate” a la TINKER but they are subject to inquiry every day. The odds of harm happening within school walls are statistically low. Regardless, as a society we have invested a great deal to make our schools safe places. Many schools utilize high tech tools to take attendance such as radio frequency identification (RFID) badges, closed circuit cameras, and metal detectors. Workplace surveillance is also comprehensive. From the moment we “log on” employers can monitor employee’s work productivity. Currently about 75 percent of employees in American companies are subject to regular surveillance (p.93). Gilliom and Monahan briefly touch upon drug testing, keystroke and call monitoring as common methods to gather information in the management of workers. The final chapter is a smorgasbord of societal surveillance from airport screening, [*528] biometrics, border security, and even drones. Gilliom and Monahan do not construct an overarching theoretical argument about the role of surveillance in a civil society or come to terms with the tension between privacy versus security. The book is more descriptive in nature and leaves the reader with a sense of scope of government and private sector surveillance. Readers will find the mechanics of everyday technological tools of interest. The composite of our digital footprint is a blend of daily transactions that we take for granted to live in the modern world. Little did we know the consequences for privacy. If the definition of privacy is as Justice Brandeis says, ‘the right to be left alone” then SUPERVISION illustrates that it is almost impossible to achieve. You might experience loneliness, but connecting with others is only a keystroke or cell phone call away. SUPERVISION is a thought provoking read that faculty and students will find worthy of their time.